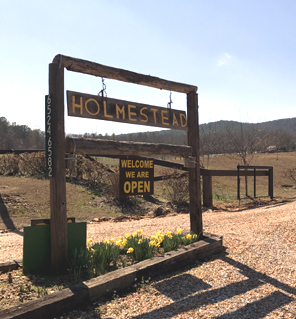 Contact Bobby Ray Holmes at 256-404-4316 or holmesteadfarm@yahoo.com. Get driving directions from anywhere – use Google Map below. Use the GPS coordinates below to enter into your personal GPS device – these will take you to our driveway entrance off County Road 7.